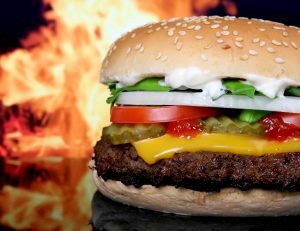 Hamburgers are pretty much synonymous with American food, and they’re one of the tastiest, most enjoyable foods around. Despite their popularity, and that you can order up a good burger in the majority of restaurants you visit in America, not everybody knows some well-kept secrets about one of their favorite foods. Tony’s Grill makes some of the best burgers in Pahrump. We have four styles of burgers, all made fresh to order. Whether you want a class, double cheeseburger, bacon burger, or a mushroom and swiss, we have something to satisfy your craving. Come to Tony’s today! 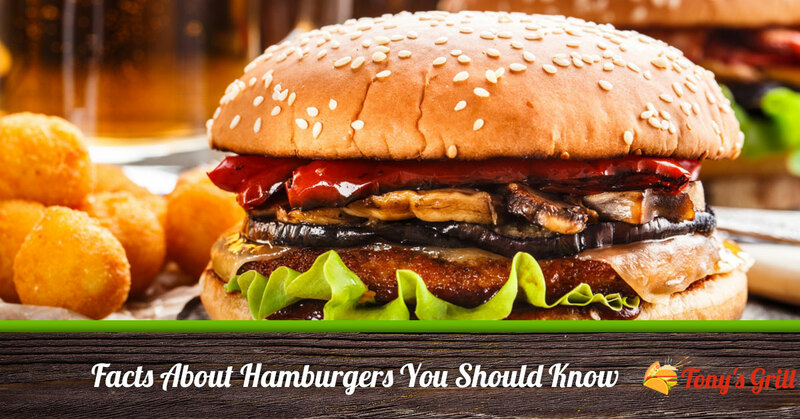 Here are some facts about hamburgers you should know! We love our burgers for sure, but they actually originated in Hamburg, Germany (which is also the place where meatballs were created). Germans brought their burgers to the US, and they had their official debut at the World’s Fair in 1094. How Much Can One Cow Produce? How many hamburgers come from one cow? That’s a great question! Just one 1,000 pound steer can produce up to 1,000 quarter-pound hamburger patties, or 250 pounds of ground beef. The average American eats three burgers each week. All in all, nearly 50 billion of them are consumed every year. You could circle the globe 32 times if you lined all of them up. If that’s not compelling evidence that we love our burgers, we don’t know what is! There are hundreds of ways to prepare a burger, which is one of the beauties of this wonderful food. You can put anything from the USDA Food Pyramid on one–even peanut butter! At Tony’s, we stick to our four favorite ways, pulling from fresh, locally sourced ingredients and ensuring that each one is a work of art and a joy to consume. Additionally, they go wonderfully with just about every beverage: wine, beer, soda, juice, water…you name it. That said, we don’t recommend you pair it with a protein shake! When you’re ready to take on the best burger in Pahrump, come to Tony’s Grill at 2610 North Blagg Road. We work tirelessly to create the best possible menu from the highest quality ingredients we can get our hands on. And if a burger isn’t what you’re craving, this is one local restaurant that has a menu that draws from Mexican, Italian, and Chinese fare, too. Come see us today!